Dealers / Shops - Contact us with Business Info for wholesale pricing. We are considering the sale of Linkert Carbs. * due to health and age. * Please note that we do not have to sell the business, and if we do not find a buyer that interests us and values the business and our customers as much as we do, we will not sell it, period * Price is as of 04/11/19, Reason for selling - I simply wish to retire and spend more time hunting, fishing & riding with my friends, but frankly, I have had the time of my life with this business and met many great people. I can honestly say that I still enjoy getting up and going to work every day. Can you ? Also note that we are expanding our product line through all of 2019 and price will increase as we bring new products into inventory. Also, be sure you have your financing or capital lined up so that you do not just waste your time. as of day of sale . It does NOT include the "Into The Wilderness" name or my other web sites, nor does it include my fox logo. will help you get up and running. We will help buyer convey all shopping carts, both web sites, and help train in carb building if needed, as negotiated, and consult as negotiated. You should be able to actually start processing sales from day 1 . No real estate is involved. It will include all stock inventory at time of sale, 2 web sites, 2 professional bead blast cabinets, 2 late model upright compressors, antique DAKE size "O" mechanical press, misc hand tools, sources, carb inventory at time of sale, parts inventory at time of sale, 2 bench model drill presses, 2 benchtop sanders, misc. supplies, much gridwall, 10x20 show tent, + heavy duty 10x20 custom made show tent that can also be set up as 10x10, show tables, credit card machine, complete web sites on hard drive,etc. Expansion possibilities limited only by your imagination. You not only have our unique, established, & growing carburetor market, but also dealerships for Eastern, V-Twin, & James Gaskets to use and expand as well as expansion in the antique motorcycle show world. Buyer should also have a well rated ebay account as we treat this as expensive, but effective, worldwide advertising, as we do ship worldwide most days . Payback currently estimated at 5-6 years without expansion. Easiest and quickest way to expand will be ADVERTISING & additional antique motorcycle shows such as Wauseon, Dixon, Barber, etc. but do not lose sight of the fact that we are primarily a worldwide mail order business that does not even advertise ! It is an absolute must that any potential buyer likes to deal with the public and is willing to spend a lot of time just helping people with advice and verbal service that you will not be paid for, but will be greatly appreciated by those you help, and usually results in sales down the road. This is considered part of the service of this business. If you do not like dealing with the public and are not willing to treat every customer as a personal friend (and many have become friends over the years), then this is not a business for you, nor will we sell it to you. Personal advice to any potential buyer - learn to make really good cookies - seriously. International payments by paypal or wire transfer only. Make parts for Linkert carburetors ? Think you can ? Have a large stash of NOS parts ? Call or email us. NEW ITEM ! - You can now buy the "Into The Wilderness Blend" coffee that we make at the shows. 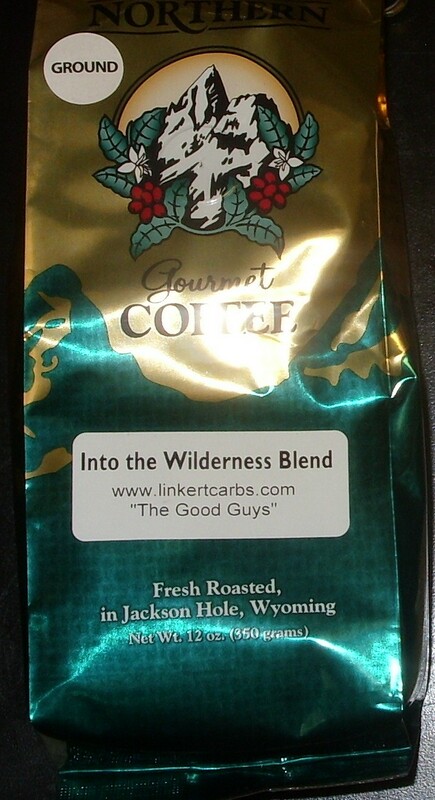 Blended exclusively for Into The Wilderness by Great Northern Coffee Co. of Jackson Hole, Wyoming. Note that all orders over $ 400 TOTAL include insurance in shipping costs. What is it, what does it fit, what model carb do you need ? Any useful information to add would be appreciated as this is only what we have gleaned over the past 40 years. A lot of blanks yet. Accuracy is to the best of our knowledge and we assume no responsibility for use or misuse of this data. Use as a guide only and do your own research. You may copy this data.